The impact of IBS can range from mild inconvenience to severe debilitation. It can control many aspects of a person’s emotional, social and professional life. Persons with moderate to severe IBS must struggle with symptoms that often impair their physical, emotional, economic, educational and social well-being. Approximately 20 to 40% of all visits to gastroenterologists are due to IBS symptoms. 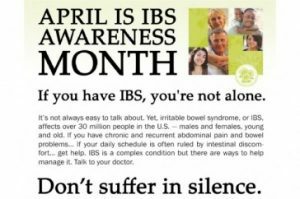 For those with IBS an additional burden comes from living in a society where the word “bowel” may scarcely be spoken. Individuals must cope with multiple symptoms that affect every aspect of their lives. Those around them may be unaware of the impact, or even the existence, of the disorder.